It’s been a little while since stylishmews has posted anything new and interesting. Today I popped into a little mews tucked away in the heart of Chelsea to visit Letizia Tomacelli. 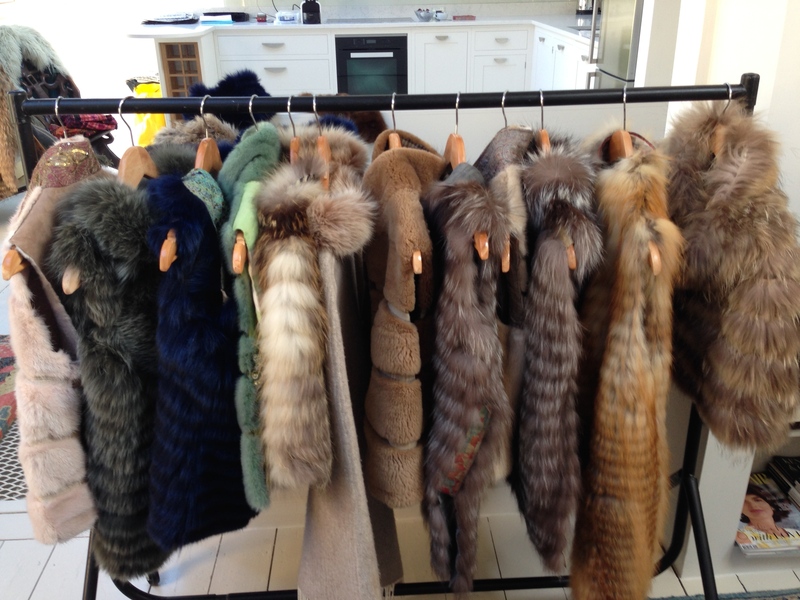 She is there until tomorrow, but for those of you having the time and the inclination, I greatly suggest you make your way to Notting Hill where she will be showing her glorious collection of restyled vintage fur jackets, coats, gilets and accessories until this Friday, October 10. 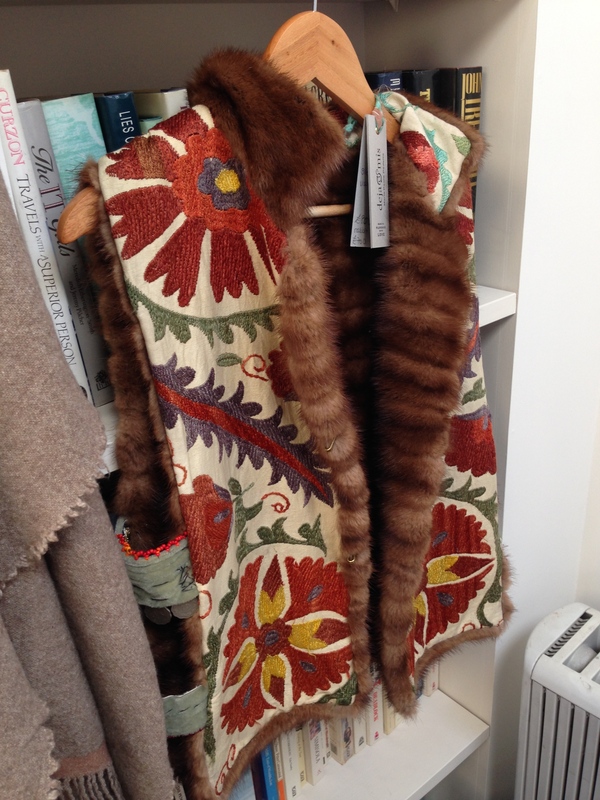 In 2009 Maria Paola Pedetta, a costume designer and fashion stylist set up a studio where she designed and remodelled vintage furs. 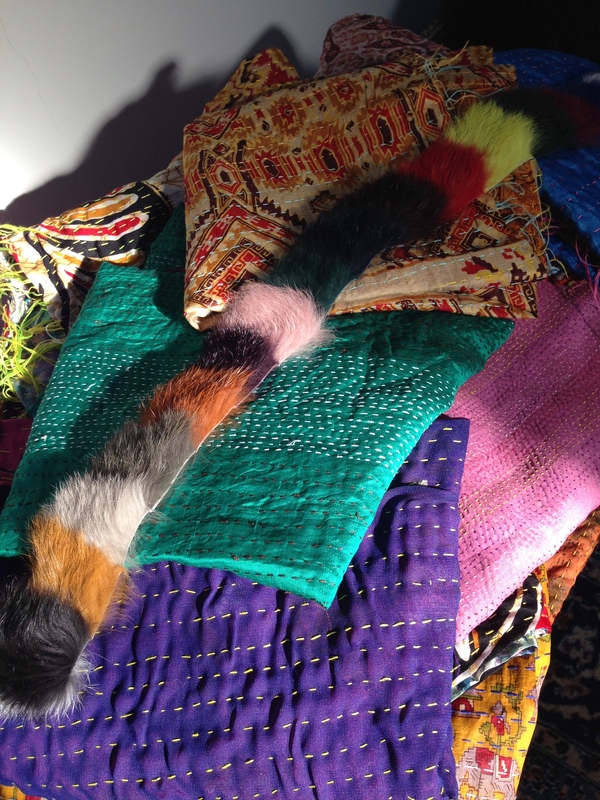 Using her experience and contacts in Florence and throughout Italy, vintage furs are ingeniously mixed with antique Indian sari fabrics. One of the fantastic bags I purchased! Detail is the essence of Dejamis; on a cuff, collar or lining you will find exquisite embroideries and fabrics. Come with your very own fur and Letizia is happy to advise you on how deconstructing your fur can metamorphose into something unique and fabulous. Furs take on new life and are tailored in the most fashionable manner. 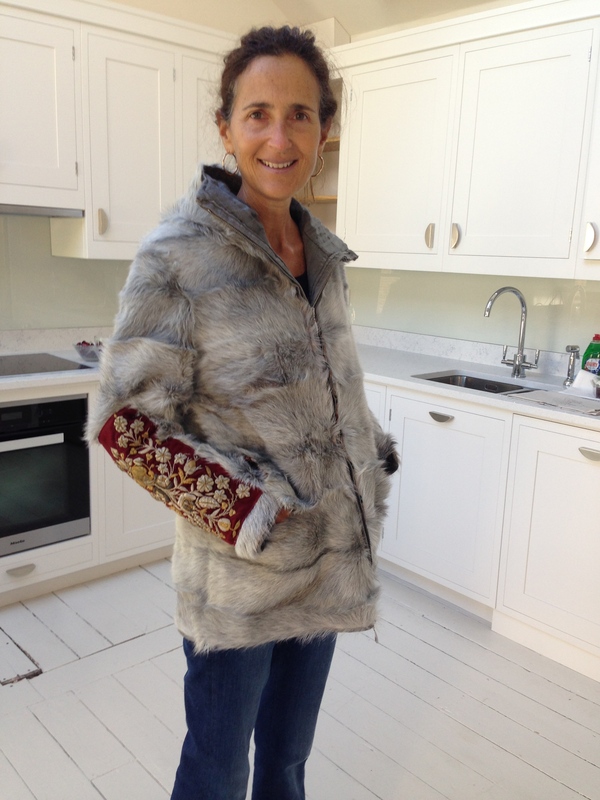 If you would like to re-style your old fur coat into something modern, unique and wearable, bring it along and be sure to contact Letizia, allowing her time to discuss it with you. Can she come to NY to help me with my old yucky furs. What did you buy? 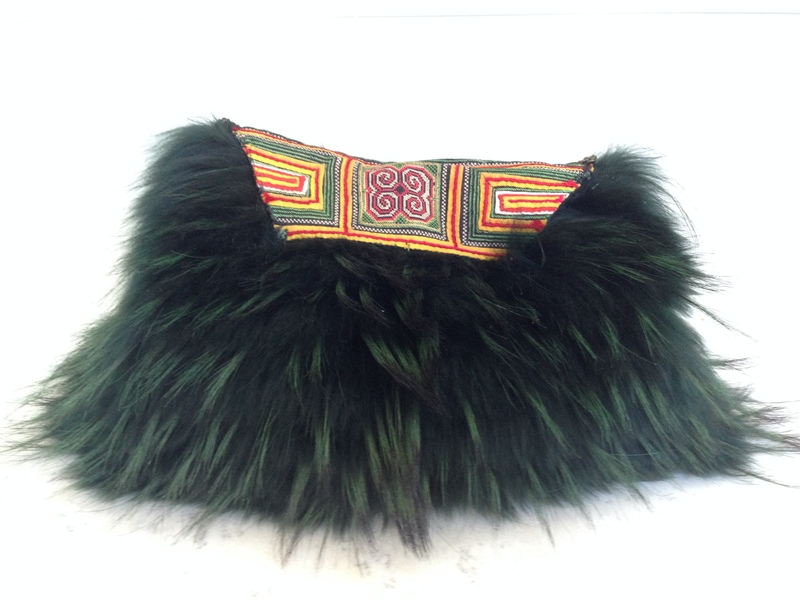 love the mix of Indian sari silk and fur , beautiful and gorgeous purchase of yours! Shame you are not here. You would love it! This is a wonderful insight into Alladin Caves hidden in London. I love it!